When you’ve picked the perfect door for your home or project, you’ve made an investment, so it’s important to keep it well maintained and look after it. This will maximise its lifespan and keep it looking good. Doors are often neglected or forgotten about, and this is when they can get damaged or when they can become a major source of heat loss. Timber doors are naturally weather resistant, but they must have a finishing varnish, paint or stain applied to maximise their lifespan and keep them protected from the elements. 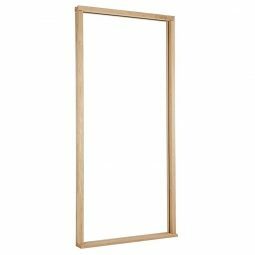 Before applying the finishes to your door, you must ensure it is clean, dry and dust free, with some doors also requiring a light sanding to ensure the surface is smooth and free of loose fibres. When applying the finish it is important to ensure all 4 edges are covered evenly, as well as any cut outs for hinges, handles, locks etc. We recommend at least 3 liberally applied coats of your chosen finish. It’s important to clean your door regularly to remove any dirt or stains and keep it in good condition. Different door materials will need different cleaning methods to ensure the best finish. It’s typically good practice not to use abrasive substances or abrasive cleaning tools like a scouring pad. When cleaning wooden doors, it’s important to ensure you aren’t damaging the door itself. One of the best cleaning products for wooden doors is a simple mix of mild soap and warm water. Before cleaning your door remove any loose dust or dirt by lightly dusting or wiping with a damp cloth, so once you clean the door properly you aren’t just spreading dirt around. 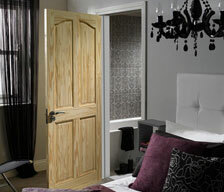 To apply the soap mixture, use a non abrasive sponge, and scrub the door, not forgetting the edges and sides. Once you’ve finished cleaning the door, ensure all soap is washed off, by wiping the door down with clean water and then drying with a towel. PVCu, or uPVC doors, are often chosen for their low maintenance surfaces, as well as being budget friendly and easy to install. As a result, PVCu doors do not require as much maintenance as timber doors, but just an occasional clean if they appear to be gathering dirt or occasionally mildew or mould. You can purchase cleaning products designed specifically for use on PVCu doors and windows, but there is also a low cost version you can make at home. Either use a soap and water mixture, similar to that used on wooden doors, or mix 1 part vinegar to 4 parts hot water. The most important thing to remember when cleaning PVCu doors is to use a sponge or cloth, but nothing that is abrasive or could scratch the protective PVCu coating. When cleaning glazed doors, its important to clean the glazed panels separately. This can be done with glass cleaner, designed specifically to clean glass without leaving streaks or smudges, just try to prevent it from touching the door frame. Undertaking routine checks on your doors is a great way to ensure it is well maintained and any small blemishes or issues do not become problematic. Keep an eye out for any dirt build up, especially around edges and door hardware. 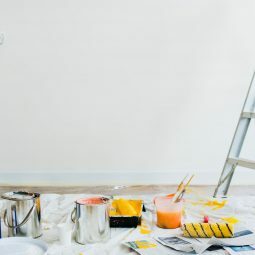 If it is in hard to reach places, you can use a soft paintbrush to apply the cleaning product, otherwise just follow the above instructions on cleaning your door. If you spot any cracks, flakes or scratches on your wooden door, its important to reapply the protective coating, varnish or stain to ensure the door remains weatherproof. Keep an eye on your weatherstrips and ensure they are in good condition. Weatherstrips are designed to prevent draughts coming in from the gaps around your door, but also protect your door from getting damaged at the edges. If the weatherstrip is in poor condition we’d recommend replacing it. 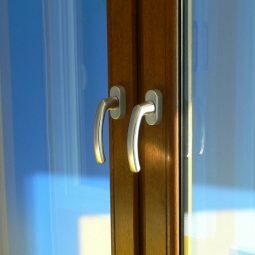 As well as caring for your door, its important to keep your handles, locks and hinges working well too. 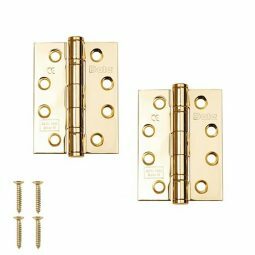 It’s important to keep all your door hardware clean, to avoid any long term damage, and also prevent any issues with functioning. Additionally, we’d recommend keeping your locks, hinges and handles lubricated to ensure they function smoothly.